The Port of Moses Lake is located in Central Washington directly off Interstate 90. The Port is 104 miles west of Spokane, Washington and approximately 178 miles east of Seattle, Washington. Moses Lake and Grant County lie in the sunbelt of the state, boasting a pleasant climate for recreation as well as doing business. The Port of Moses Lake’s airport and industrial areas contain over 5,700 acres of quality infrastructure, supporting a wide range of aviation and commercial business. There are over 60 industries located at the Port, employing over 3,500 people. The Port of Moses Lake is pre-permitted up to 10,000 employees. Created in 1965 by a vote of the people, the Port of Moses Lake is governed by a 3-member Port commission and administered by an executive director. More information on Port governance, staff, history and upcoming events are contained in separate pages. Commissioner Jackson was elected as Port Commissioner in June 2017. He proudly served in the US Army, and attended Diesel Repair School. In addition, he is an accomplished pilot and mechanic, and currently owns Jackson Flight School, LLC, located at the Port of Moses Lake. He is also the Search and Rescue Coordinator with the Grant County Sheriff’s Department where he formerly was the Trainer in the Aviation program. Commissioner Jones moved to Moses Lake with his family in 1948 at the age of eight. In 1957 he graduated from Washington State University, Eastern Washington University, and Big Bend Community College. He spent three years in Germany. In 1964, he married Pam Fisk, and they have two children, Bryan and Amy. Kent has been a leading realtor since 1962, including his service as President of the Washington Association of Realtors in 1987. Commissioner Jones served as a Port Commissioner from 1999 to 2007 and returned to the Port in 2010. His service to the community includes the Moses Lake Planning Commission, Moses Lake City Council, Moses Lake Chamber of Commerce and Moses Lake Rotary. Born and raised in southeastern Pennsylvania, Commissioner Kunkle served in the military for 5 years, including in Viet Nam as a commissioned Army aviator. He graduated from the University of Idaho in 1975 with a BS in Business, majoring in accounting, then moved to Moses Lake in 1976 to work for Morris, Jones & Palmer, now Sutter, Kunkle & Thompson, P.S. Stroud married Mary Nilsson from Dayton, WA in 1970, with whom he has two children and four grandchildren. Commissioner Kunkle began service on the Port Commission in 2012. 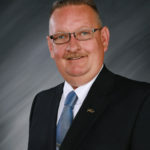 He has been deeply involved in community service, including three terms on the Moses Lake School Board, Director of Community Services of Moses Lake, Director of the Moses Lake Business Association, Member and Past President of the Rotary Club of Moses Lake, and as Trustee of the Big Bend Community College Foundation.